Of course, there are other factors that will influence how smoothly and stress-free your house moving goes. However, there are few that compare to the importance of packing your possessions appropriately and so properly. Many of the quality house removal companies offer a professional packing service, like this removal company serving the Bristol area. Without doubt, this can certainly take away a lot of work and stress. However, doing your own packing can save money. Always good. Nevertheless, if you do not pack your possessions carefully the removal company’s insurance may not cover breakage. If you are considering DIY packing, here are a few useful tips that will help you get the job done right. It is amazing how much we can accumulate over the years. Moving to a new house is a good time to have that big clear out. Do you really need it? How many times have you used it in the last year? Every item you move is going to cost money. Is it worth it? No point hauling things you do not use to your next house. Give it to charity, sell it or simply throw it away. Use the money to buy good packaging supplies! Have the Right Tools for the Right Job! As any skilled craftsman will tell you, to do a good job you must use the right materials and tools. This is very much the case with packing. Try to calculate how many boxes you need and sizes: Buy or rent strong, sturdy boxes that can protect what’s inside. Self-seal bags, cable ties and strong tape are a must. Bubble wrap, newspapers and brown paper can provide extra security and safety – Particularly for fragile items or anything that is an awkward shape. Use it to secure and pad out the items, stopping them from moving around as well as providing extra protection against possible knocks or drops. Do not overfill your boxes. If you do they could well end up strewn across your new lawn! Do not leave everything to the last minute. This is a sure-fire way to ensure your move is chaotic. Start packing those items that are not needed. Make a list of the things you will need on your last day. These will be the last things you pack and probably the first box you want to unpack. Make sure you can find that “essential box” sooner rather than later. Make sure it is clearly marked. You might well want to put the kettle on soon after arrival for example. A box with this, coffee and tea as well as a few utensils and cups will be a welcome sight. Other essentials you might want close to hand include toilet roll, pain relivers, mini tool kit and plastic bags. Pack family members an overnight bag. Think ahead. Pack the most essential pack last – Last on, first off! Doing your own packing can save on moving costs. However, professional removals companies have the training and experience it takes to pack your items perfectly. 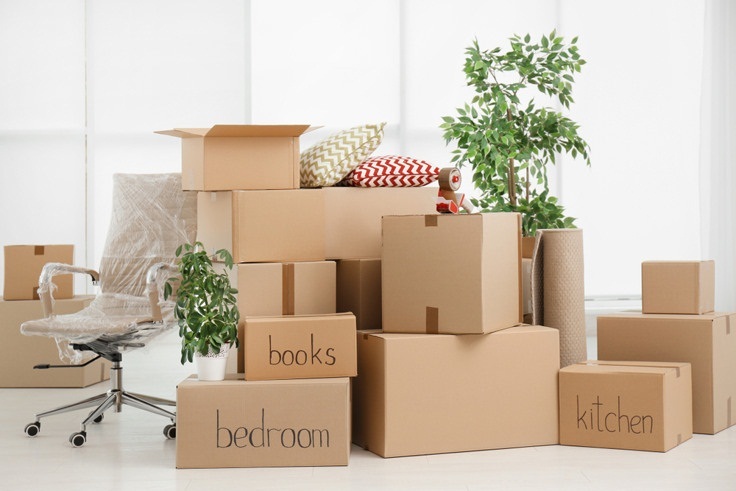 Additionally, doing your own packing can leave some insurance policies null and void with regards to breakage – Yes, a way to save money but a choice that could cost more in the long run.